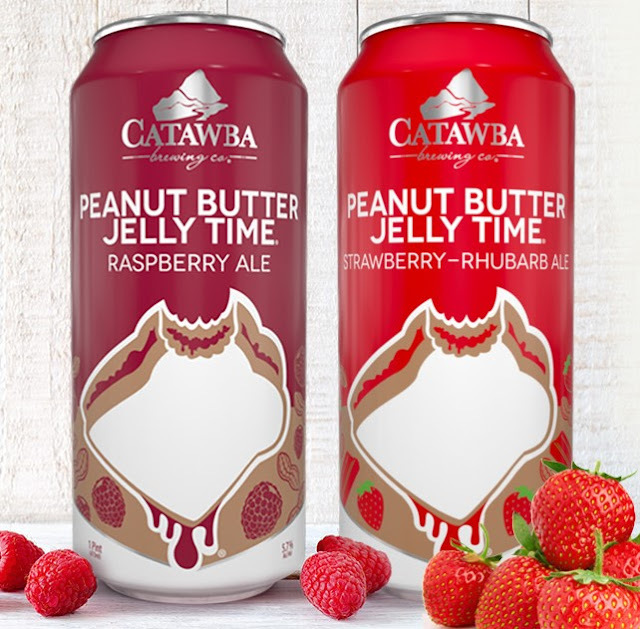 The legendary “PB&J sandwich in a glass,” Peanut Butter Jelly Time (5.7 percent ABV), makes its annual return to the Catawba menu on March 1 with a weekend release party. The beer starts as a light brown ale with a touch of wheat in its malt bill, providing the bready base for the star ingredients – real raspberry puree and whole roasted North Carolina peanuts. Continuing a new tradition started last year, the release party for Peanut Butter Jelly Time will include three specialty variations of the beer in addition to the original Raspberry: Strawberry-Rhubarb, Blackberry, and the debut of Black Currant. Catawba’s most popular Specialty Series beer since 2012, PB&J will be at all four Catawba tasting rooms and the Palmetto Brewing tasting room in Charleston. The three small batch beers were brewed in Catawba’s Asheville and Charlotte brewhouses and will be sold exclusively in their tasting rooms. A special PB&J flight will be offered while supplies last. PBJ will also be sold in 4-pack 16oz cans at all tasting rooms and in five-state distribution. Plus, this year marks the first appearance of a spin-off flavor in cans, as PB&J Strawberry-Rhubarb will be available in extremely limited 4-packs.